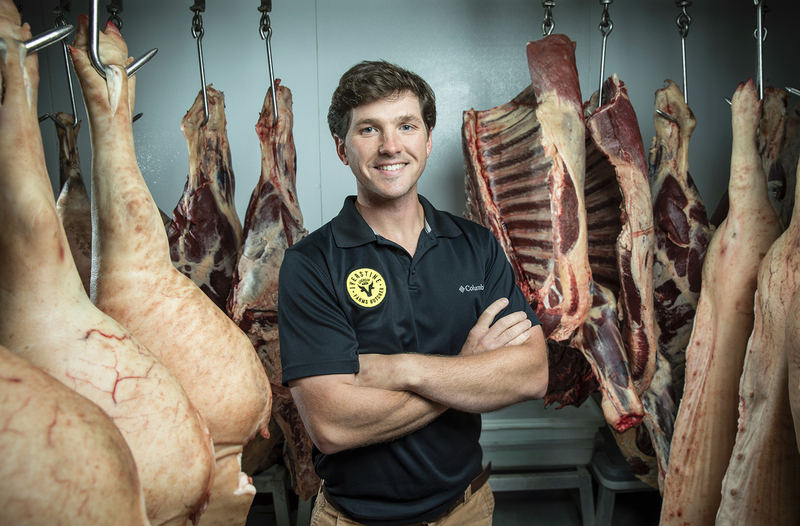 Wanting to expand its customer reach beyond Baton Rouge, Iverstine Family Farms has launched a flat-fee subscription service that delivers a monthly box of curated meats. Founder and CEO Galen Iverstine says the idea came from customers who expressed difficulty getting to the company’s Perkins Road butcher shop during the week, especially customers from the suburbs as well as Livingston and Ascension parishes. “We wanted to make it easier for folks in areas like Central and Zachary (to purchase Iverstine products) so they’re not fighting Baton Rouge traffic to get to us,” Iverstine says, adding he hopes the subscription will boost the company’s revenue by 15% to 20%. Initially, delivery for the service is restricted to East Baton Rouge, West Baton Rouge and Livingston parishes, as well as parts of Ascension Parish. If the service does well, If successful, he says the subscription model could expand across state lines. The “Butcher Bundle” each month will feature an 11- to 13-pound assortment of fresh cuts, ground meat, sausages, and cured items that rotate monthly, along with a recipe card. Subscribers also can add a la carte items such as ground meat, sausages, stocks, jerky and bacon. The bundles, which start at $125 per month, are delivered directly to the customers’ doorstep in insulated cooler bags that will be traded out each month.